The mere thought of bed bugs is enough to make most people’s skin crawl. If you have ever had the unfortunate experience of discovering these pesky bugs in your home, then you know just how challenging it can be to exterminate them. Even after your home has been treated by a professional, it can be difficult to find the peace of mind you once had prior to discovering them in your home. 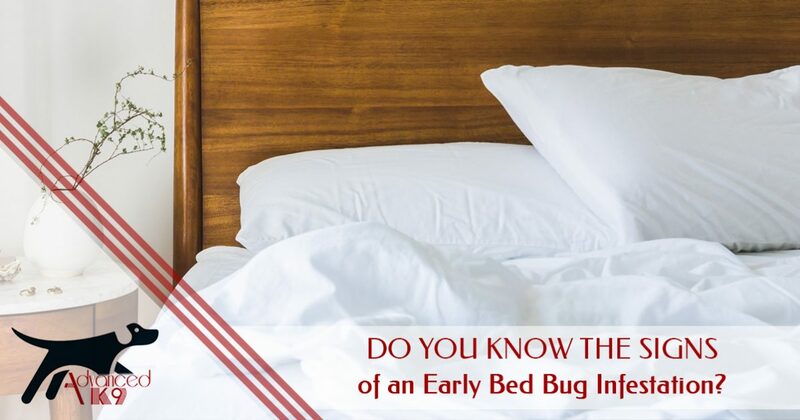 Discovering an infestation in its beginning stages can help make extermination easier, and in today’s post, we’ll review a few classic warning signs of an early bed bug infestation. If you suspect that you have bed bugs in your home, don’t delay. Contact your Top Rated Local® bed bug detection agency today. 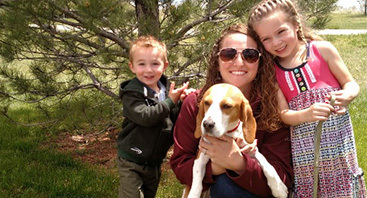 At Advanced K9 Bed Bug Seekers, we provide industry-leading canine bed bug detection in Denver that is more than 90 percent accurate for tracking down active infestations. Contact us at 720-251-2665 today or schedule an appointment online now! When bed bugs feed, they usually cannot digest all of the blood they consume. As a result, the excess blood is often excreted from their system in the form of small, dark specks. Your mattress and box spring should be the first place to look for these tiny spots. Some may look like a minuscule blot of ink from a pen or marker, and they may be concentrated in creases and folds of your mattress or box spring. Once you have inspected your bedding, expand your search to walls and ceilings. Bed bugs molt a couple of times during their lives, and when they do, they often leave behind discarded skins, or castings. Upon initially seeing these castings, you may think that you are looking at an actual bed bug. However, the castings are only the shed exoskeleton of the insect. If you discover these castings in your home, be sure to inspect nearby furniture, cracks, and crevices. In addition to shed skins, you may also notice bed bug eggs on soft goods. These eggs are milky white in color and measure about 2.5mm. 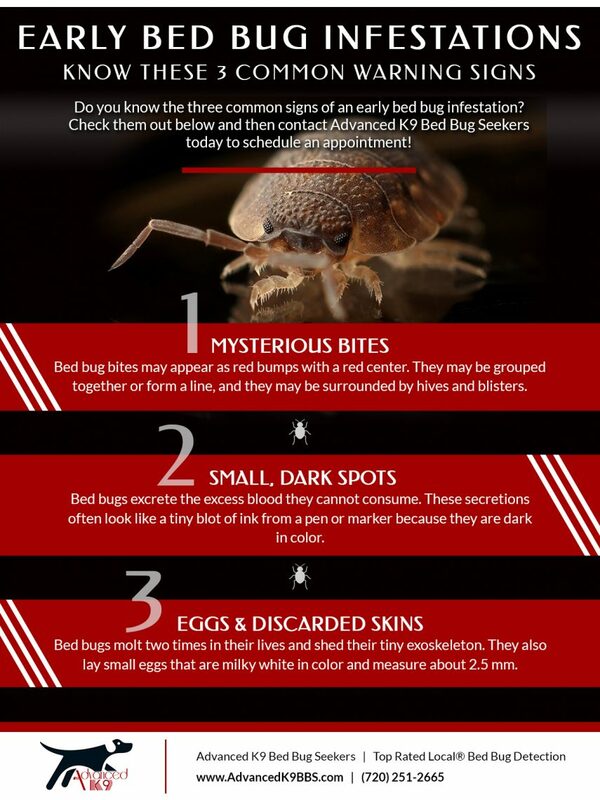 To protect your home from a dreaded infestation, it is important to know and recognize the signs of an early bed bug infestation. If you are not confident in your ability to inspect your home for yourself, let our expert canine bed bug detection team help. 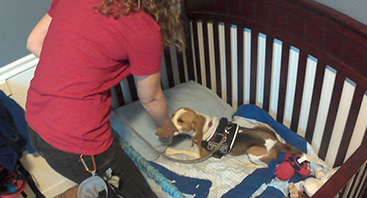 Our bed bug dog, Tracker, identifies active infestations faster and with more accuracy than human inspections can, and we can even come back after your bed bug treatment has been completed to confirm that all active bugs have been exterminated. Ready to get started? Contact us today!